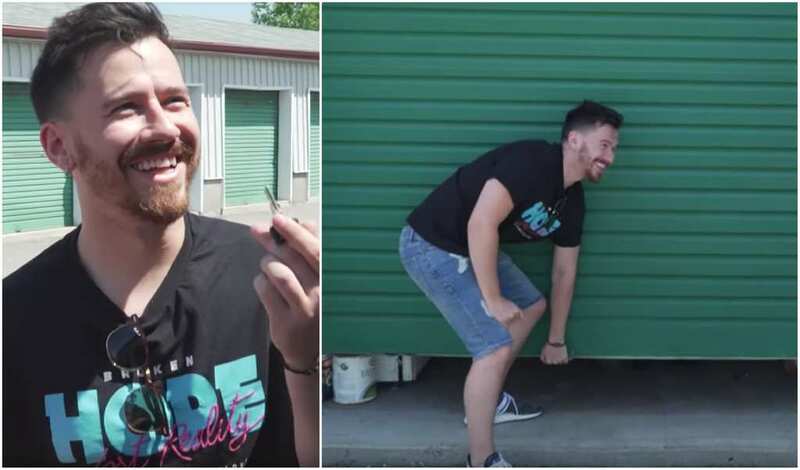 You know you’re a fan of Storage Wars when you decide to record yourself unboxing an entire storage unit that you just purchased. 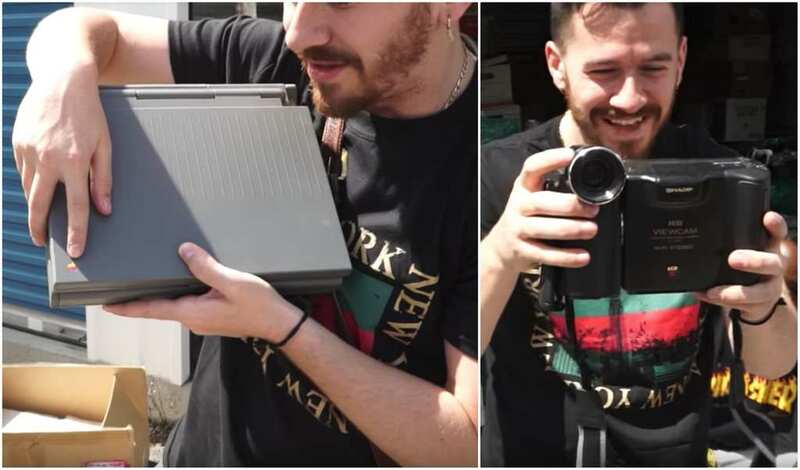 After spending $1,000 on a storage unit full of unknown contents, this curious man found something extraordinary inside. 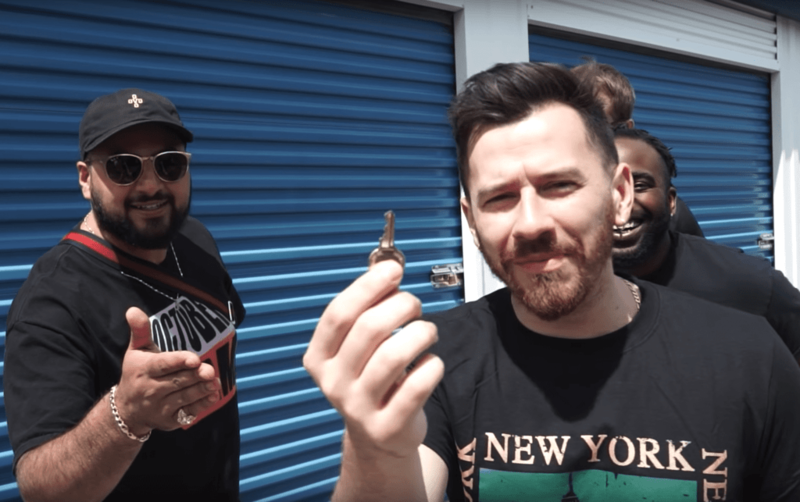 Having has a reasonably successful storage unit buyout a few months prior, Sean Callaghan was hellbent on searching for more precious valuables. However, he and his friends couldn’t believe what they were about to find on their second attempt. 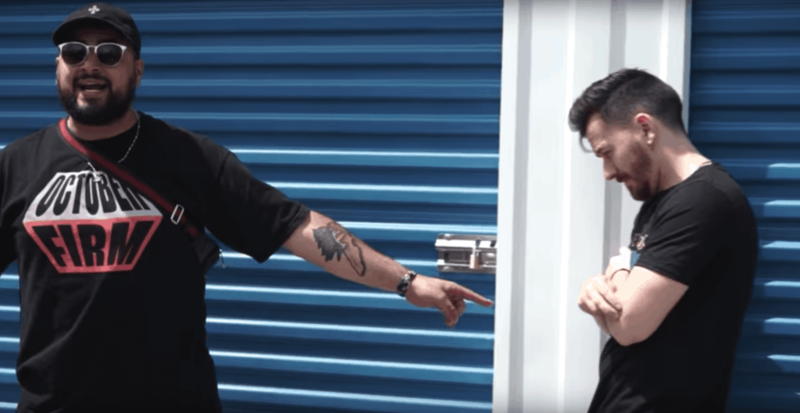 Did He Copy Storage Wars? 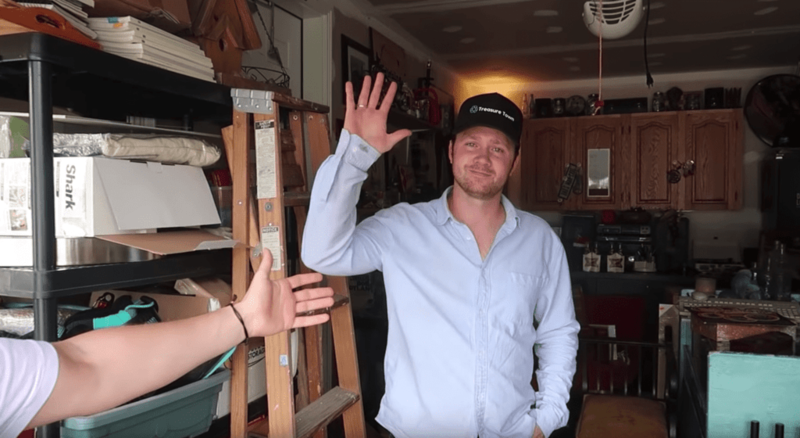 We know what you might be thinking – it seems pretty clear that Sean Callaghan stole the idea from the popular reality show Storage Wars. Despite how similar his episode may have looked, there were some considerable differences. Most importantly, Storage Wars episodes usually revolve around a group of people auctioning for each item within a storage facility. As far as Sean was concerned, all of the contents that he was looking at were his. He wasn’t at war with anybody. 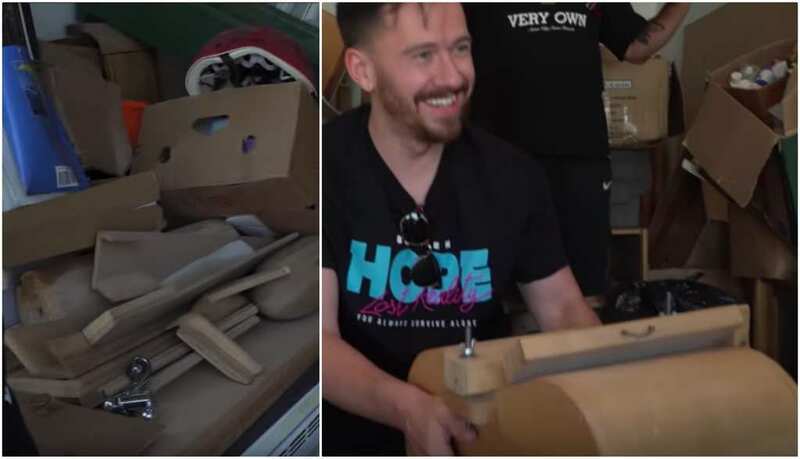 Look, Sean wasn’t going to deny the comparisons between his unboxing episodes on his YouTube channel and the much more famous Storage Wars. 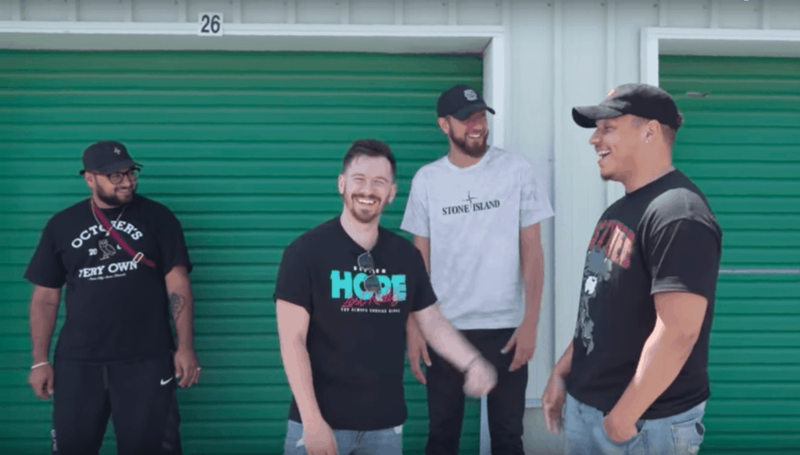 In fact, at the beginning of his first episode, Sean said the following: “We are doing Storage Wars essentially on this channel.” However, he also admitted that he wasn’t competing with his friends. All the contents inside that storage space would be his. Sean’s plan was to take whatever he thought was the most valuable and send them to a pawn shop for inspection. 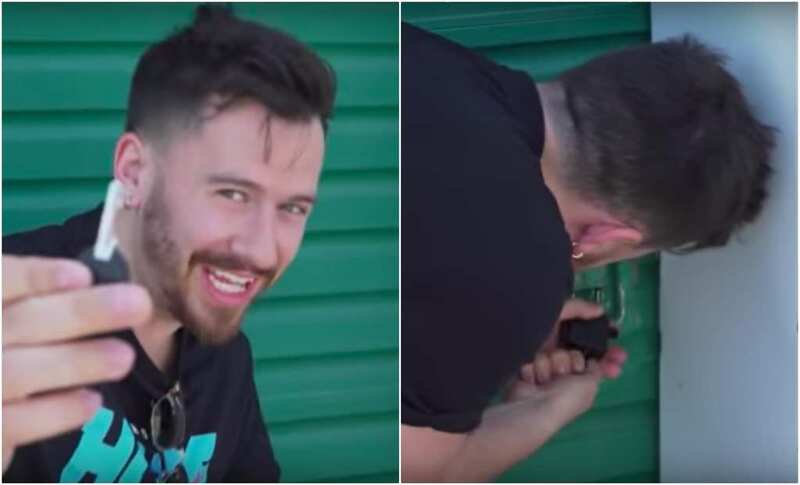 During the first attempt, there was a chance that Sean might not have been the guy who purchased that storage unit. At the start of the episode, one of his friends conducted an auction. Whoever came up with the highest bid would own the entire unit and everything inside of it. For a few minutes, all of Sean’s friends came up with bids and the value was going up every few seconds. However, when Sean put in a $1,000 bid, no one else could improve on it. Lo and behold, the unit was his. 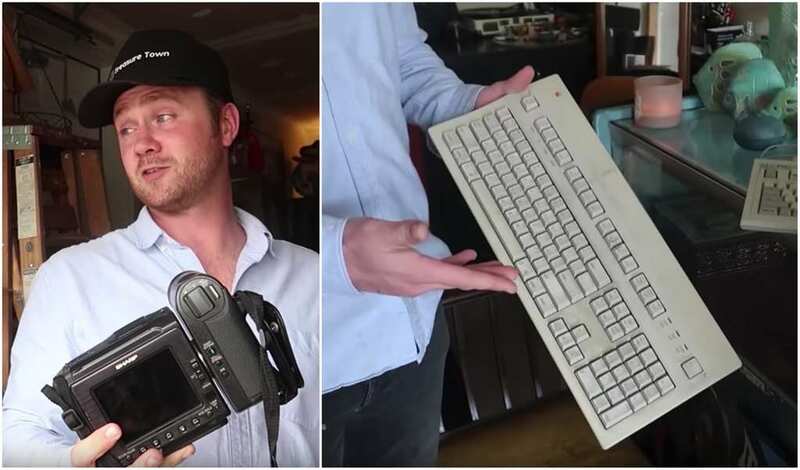 What Did He Find First? Sean and his friends didn’t require any mineral guides to know that these two precious rocks were worth a considerable amount of money. Not only were they pretty for ornamental purposes, it was also revealed that they were carved specifically that way to work as fancy-looking bookends. At the bottom of each bookend, it said that the original retail price was $118. Sean instantly noted that this meant that they were probably worth more now after being previously purchased all those years ago. What Did The Expert Think? Lo and behold, Sean and co. immediately laid eyes on what could only be considered as a strange-looking collection of items. 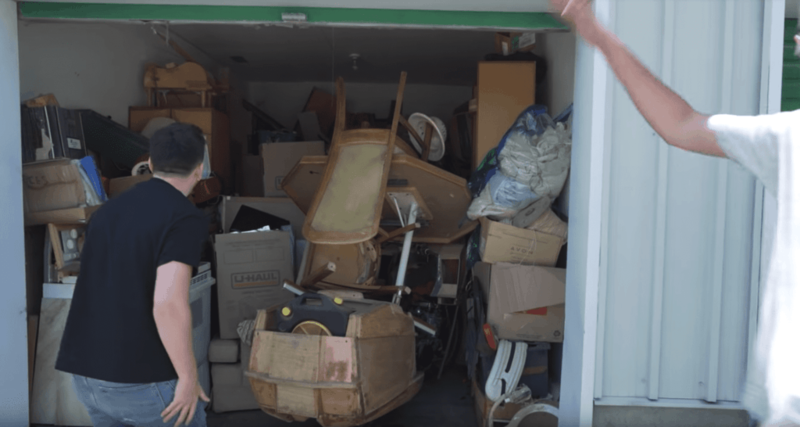 Not only did all of the items in this unit take Sean and his friends by surprise, but the arrangement of the items was a lot more chaotic than the first storage unit they looked at. Soon enough, it was evident exactly what kind of person had previously owned the contents of this storage unit. 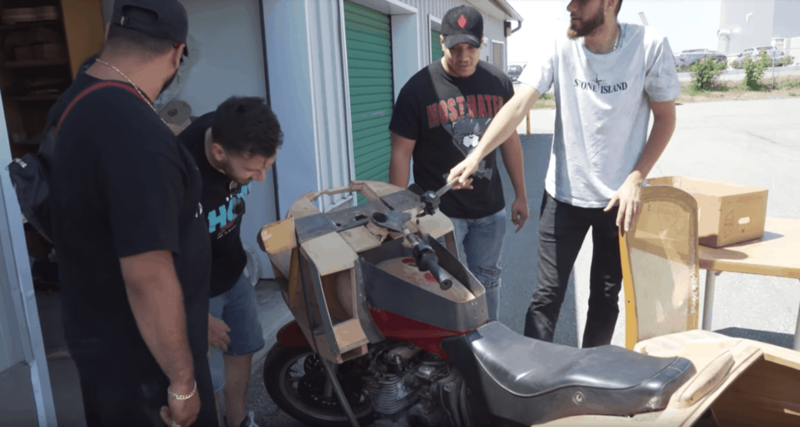 With so many strange items inside that storage unit, Sean was worried that only the quad and the motorbike would stand a chance of making any money. He knew that he would need to consult Chad once again to get a better idea of what each item was worth. They found some truly random things, such as a white piece of furniture. They even found a fully operational oven, not to mention a bottle of Chanel perfume that Sean’s friend stumbled across. What A Strange Looking Motorbike! Look, I Found The Key! 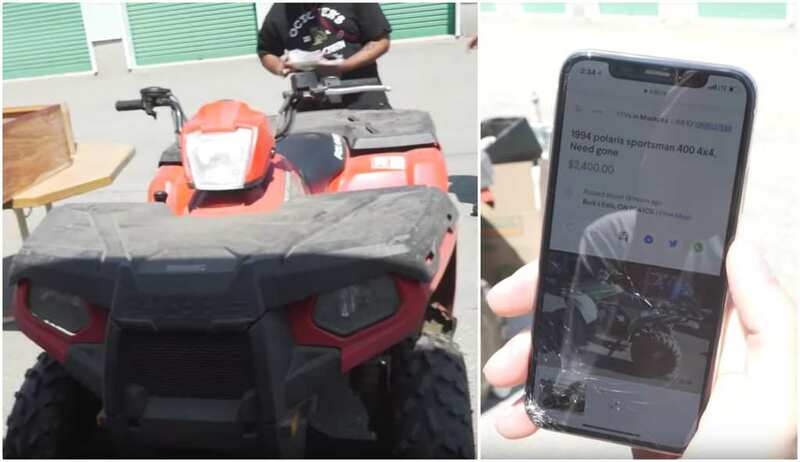 After checking the model, Sean typed on Google “estimated value of 1994 Polaris sportsman 400 4×4.” The first price that came up was $2,400. 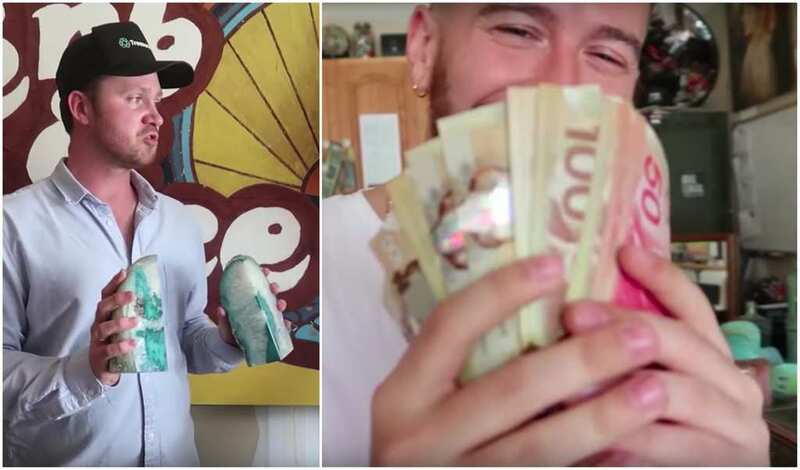 This meant that Sean and his crew were looking at a profit in excess of $10,000 – a staggering achievement for a $1,000 investment and a day’s work. 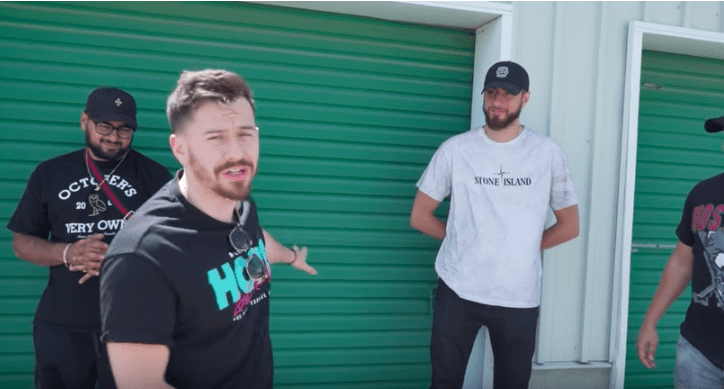 Of course, Sean would need to hit up Chad once again and see how much exactly the contents of this particular storage unit could be sold for. Nevertheless, this was a huge breakthrough for the team. 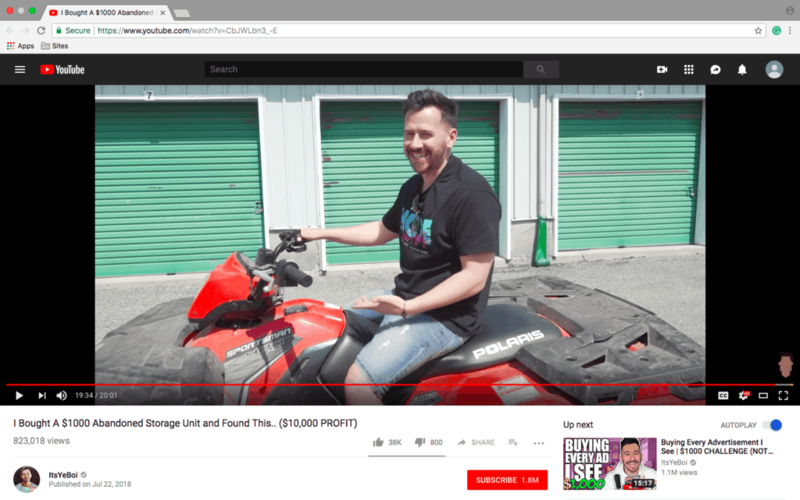 It should come as no surprise that Sean Callaghan’s “Storage Wars essentially” episodes would attract a lot of viewers on YouTube. 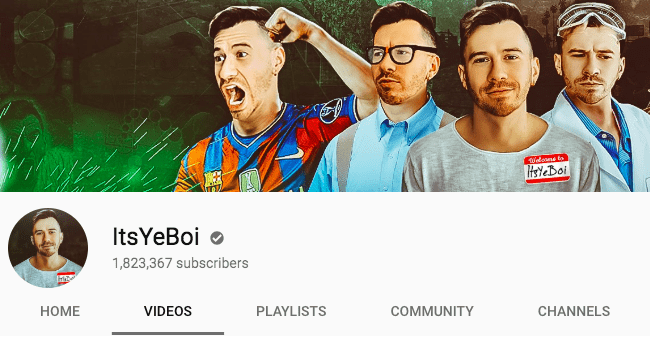 His account, ItsYeBoi, has been attracting hundreds of thousands of views per episode over the last few years now, with the charismatic host covering a ton of crazy topics such as whacky science experiments, collecting valuables, and trying all the new challenges that are trending on the internet. Storage unboxings were just his latest endeavor in a long line of passions. 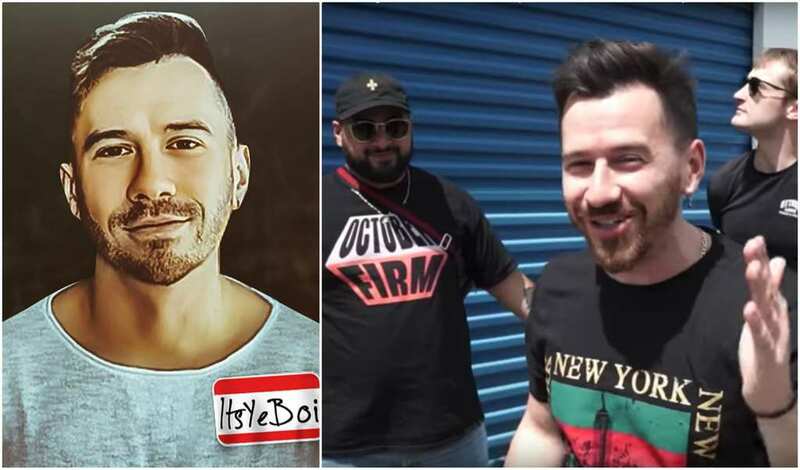 Sean Callaghan had already established himself as a popular face in certain corners of the YouTube community. However, his stunning episode ended up taking his profile to another level, especially after the video reached close to 1 million views. 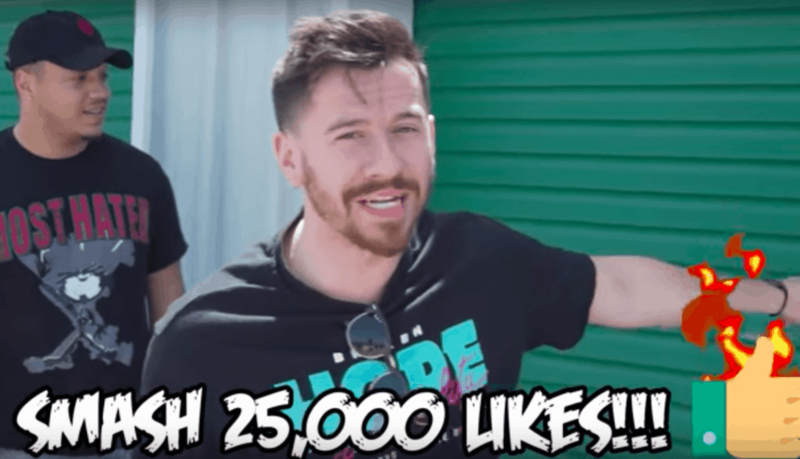 In just two days, the video earned a staggering 300,000 hits. 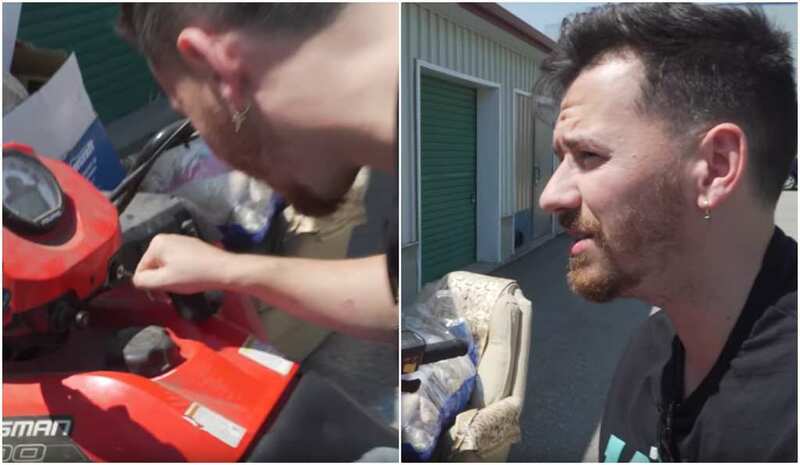 “Bet it was like Christmas morning,” one viewer endearingly wrote, while another wrote the following: “I’d fix up and clean the quad and keep it as a toy.” But has Sean taken it to Chad yet? 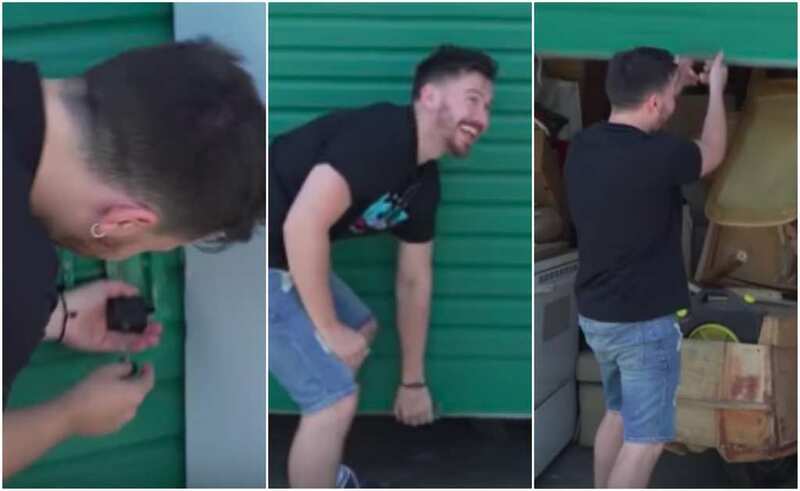 Back to square one, and with a shrewder head on his shoulders, Sean and his crew were ready to examine another storage unit that he ended up purchasing once again for $1,000. This time, everyone pitched in with an investment, which meant that this time, Sean’s friends were not just here for show. As they smashed another lock off a garage door and lifted it up, they were ready to bring home a bigger profit than their previous attempt. 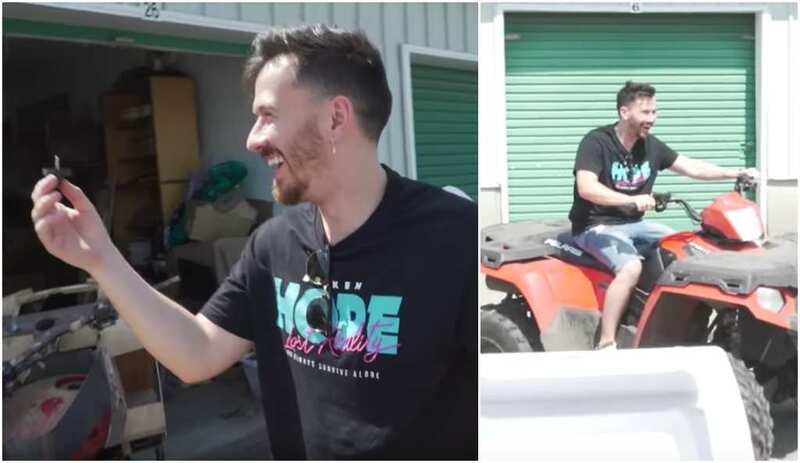 While Sean loved riding the ATV around the storage unit because he was so excited about his discovery, he wouldn’t be the only one who celebrated. 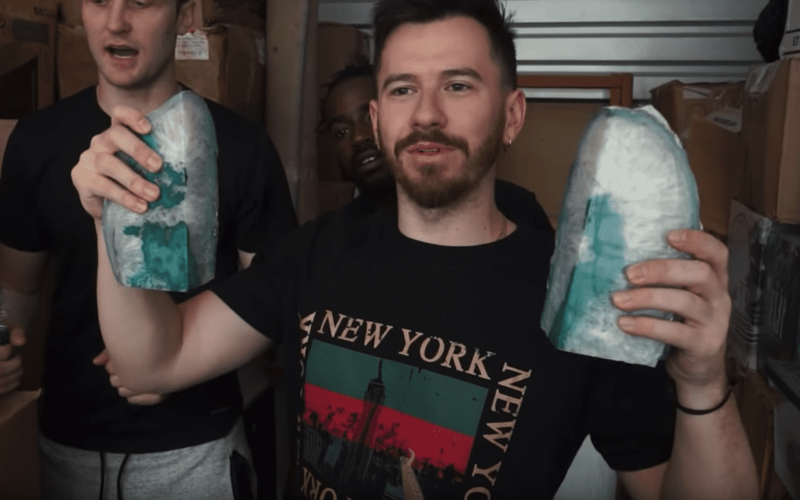 His friends were just as integral to the work that had just been put into unboxing the garage. 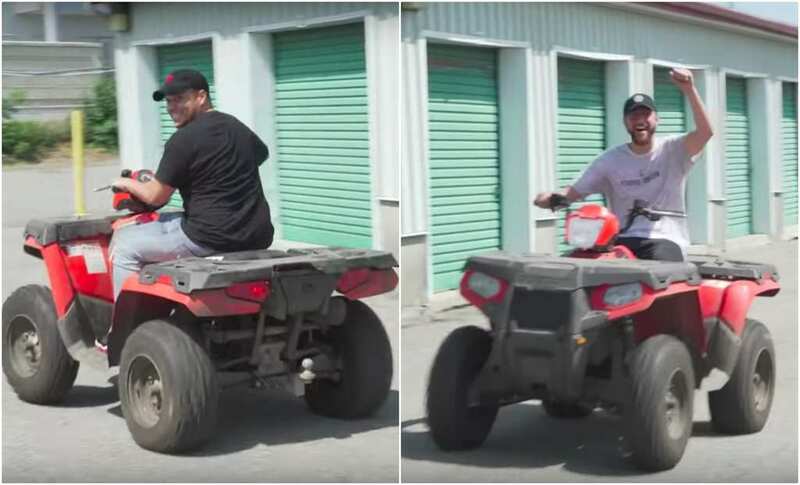 Each guy took their turns hopping onto the quad bike and riding around the block with pure joy and excitement. Soon enough, Sean needed to plan his next move. 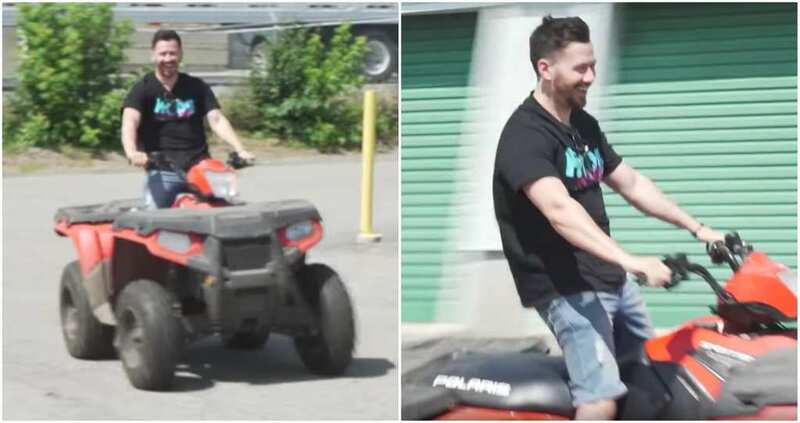 Was he going to keep the quad, or sell it? As of August 2018, Sean hadn’t confirmed if he had taken the quad to Chad. Nevertheless, you can rest assured that ItsYeBoi will post a video update on his YouTube channel as soon as he finds out the quad’s exact value. 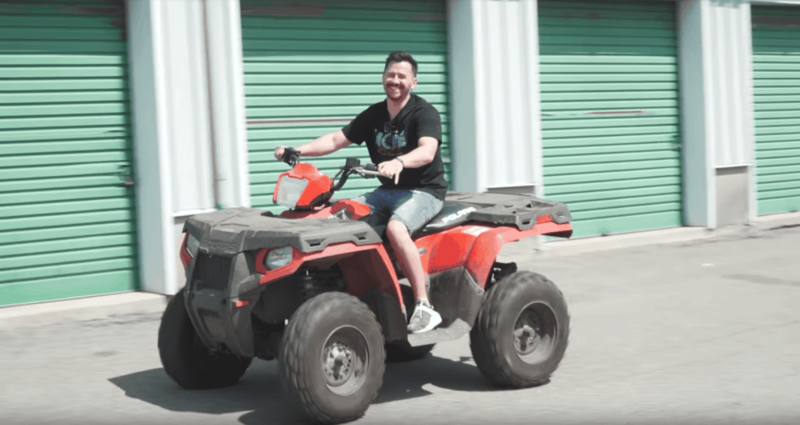 Until then, Sean can enjoy riding around in his impressive ATV and who knows, maybe he will plan a third storage unit purchase in the upcoming months. After all, you know what they say: third time’s the charm. We will keep you updated as soon as it happens.